We write further to our letter dated 18 March 2019 and the reply from a member of your staff, J Fanshawe, dated 29 March 2019. We note the response from your team was a standard reply with information that is already in the public domain, and does not resolve our questions. In fact, the content of the letter actually ignores the issues we raised. 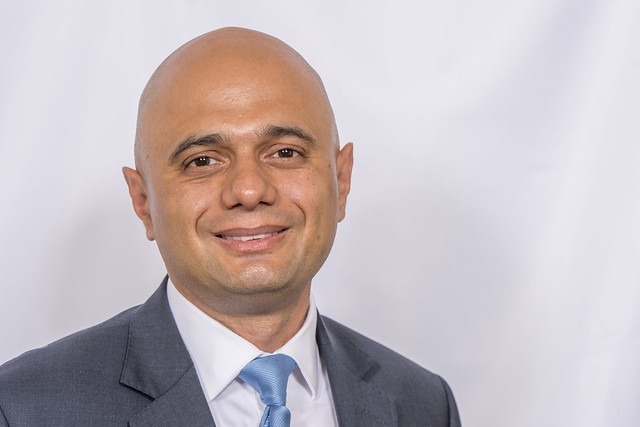 We note it is stated that there will be ‘… an uplift of funding for the next year of the Places of Worship Protective Security Fund to £1.6 million’ and ‘…the Government is committing £5 million over 3 years to provide security training for Places of Worship.’ These funds are paltry and are an insult to the Muslim, Sikh, Christian and Hindu communities. If anything, it proves clear discrimination in the allocation of funds as compared to that which is provided for the Jewish places of worship, via the Community Security Trust (CST), and highlights the discriminatory nature of your decision. We are curious to know why you feel £5 million over three years is sufficient for the Muslim community of 3,372,966, the Hindu community of 1,021,449 the Sikh community of 404,891, the Christian community of 33,111,246 (according to the Office for National Statistic) as well as other communities, compared to the £51.7 million allocated over the last four years to the CST for the security of the Jewish community who has a population of 336,965 in the UK (according to the Office of National Statistics). We believe everyone should be protected from discrimination. It is clear you are failing in your duties to the Muslim, Sikh and Hindu communities. We question how you can justify your decision, be it on the basis of the size of each community or based on a risk assessment of the threats posed to these communities. As has repeatedly happened after major incidents, there has clearly been a massive spike in attacks on Muslims in the UK since the attack on the Muslim community in Christchurch, New Zealand. Examples include: five mosques in Birmingham being attacked; in Scotland a mosque was attacked; in Surrey a teen was stabbed in what police believe was a suspected far-right terror attack; a Muslim woman’s hijab was ripped off as she waited for her train at a north London station and six teens were arrested after vandalising an Islamic school in Newcastle. Instead of giving equal protection to all communities, you and your department have championed policies that have further demonised Muslims. Even where the Home Office has claimed to protect Muslims, it has done so under the the rubric of terrorism. For example the Muslim Contact Units were set up supposedly to help the Community, yet their main focus has been to gather intelligence on Muslims rather than the security of the community and operates on the assumption that Muslims are all terrorists or potential terrorists – a threat to security rather than a community who deserves protection. Narratives of securitisation undercut various significant policy frameworks of your government and office as outlined in the EU funded project Counter Narratives to Islamophobia. We believe that everyone residing in the UK should be entitled to live here safely, without fear of violence and intimidation. It is your job to make sure that all communities are protected. We urge you to abandon your two tier security funding, where some communities are protected while others are left to the mercy of violent thugs and terrorists destroying their mosques, temples and gurdwaras.